The female is always at the look-out for other bears and is leading her young away from a congregation of male bears. Later I witnessed, from a distance, an attack on one of the cubs by an adult bear. 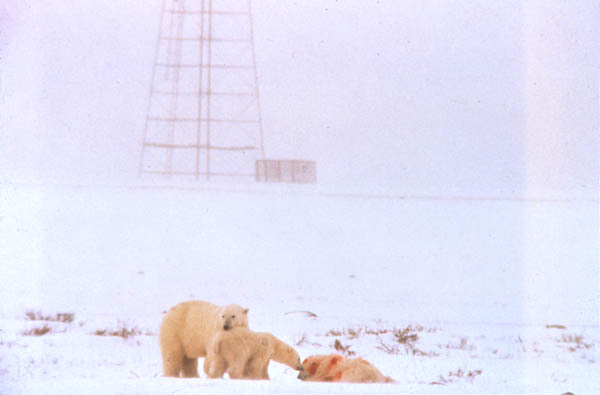 It became a fight of life and death between the female and the much larger male bear. The aggressor eventually had to give up the young bear to the mother, but the cub seemed badly injured.